I was given a fantastic opportunity to attend Nicole McDonalds meal planning class at Omaha Steaks a few weeks ago free in exchange for social media promotion. I was thrilled! I’ve always wanted to attend one of her classes! Yes, I was there to work, but I was determined to learn something new. Why else would I be at a meal planning class? I’ve worked with Nicole before. 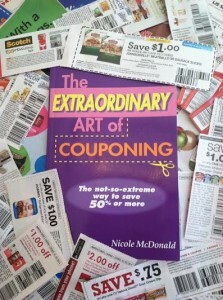 A year ago I reviewed her book The Extraordinary Art of Couponing where I learned a lot of fantastic money saving tips. After reading her book, I knew her meal planning class was going to be just as educational. Nicole shared a lot of great tips, but the main thing I pulled from this class is how to get it all organized. I’m not the most organized person, but when someone explains something to me, it clicks and amazingly my organization improves. 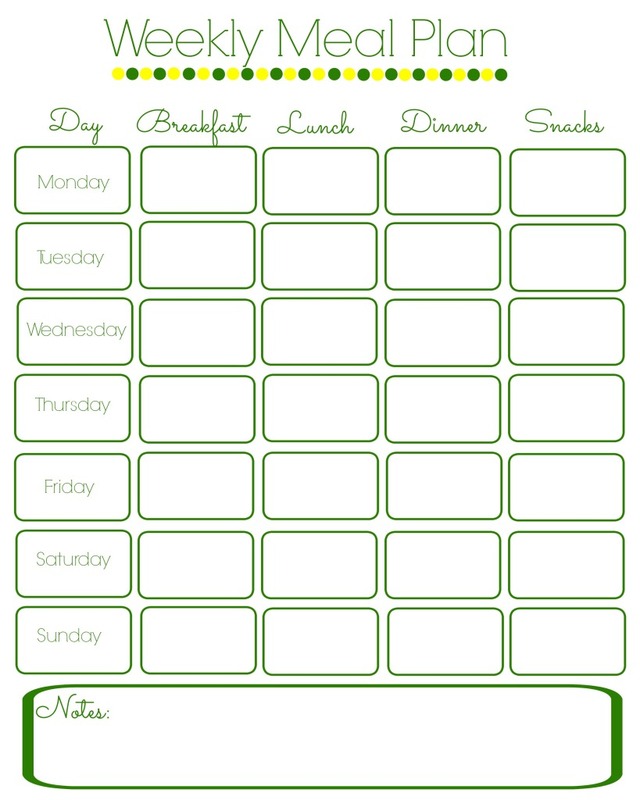 One bit of organization I learned is what format of a meal planner works for me. I created one as a printable if you’d like to use it. Yellow and green are my favorite colors, so if you’re using it, you’re stuck with those. I hope you like them! Just click on the image and it will pull up a pdf you can save or print. This week was our first week of using the new meal plan. My first lesson was learned right away: It will take some time to get a feel for what to make and when. I have this habit of making really big meals. I try not to and over the years I’ve gotten better, however, we always have a lot of left overs. I need to either learn to adapt the recipes in my head and make less or figure out how to incorporate the leftovers into the meal plan better, either by more days eating left overs or create new meals from the left overs. I’ve tried cooking less at a time and it doesn’t work. I like variety. So, I need to start learning how to create some new recipes. I’m okay with that. My second lesson. Don’t give up and be willing to adapt. Since I had way too much on the menu plan this week because I didn’t take into account enough slots for left overs, I needed to remove some items. As I go on with the meal plan, I’m going to come up with unexpected situations such as a last minute appointment, a decision to eat out with friends or maybe even feeling under the weather and just not wanting to cook. Third lesson relates to Nicole’s meal planning class. 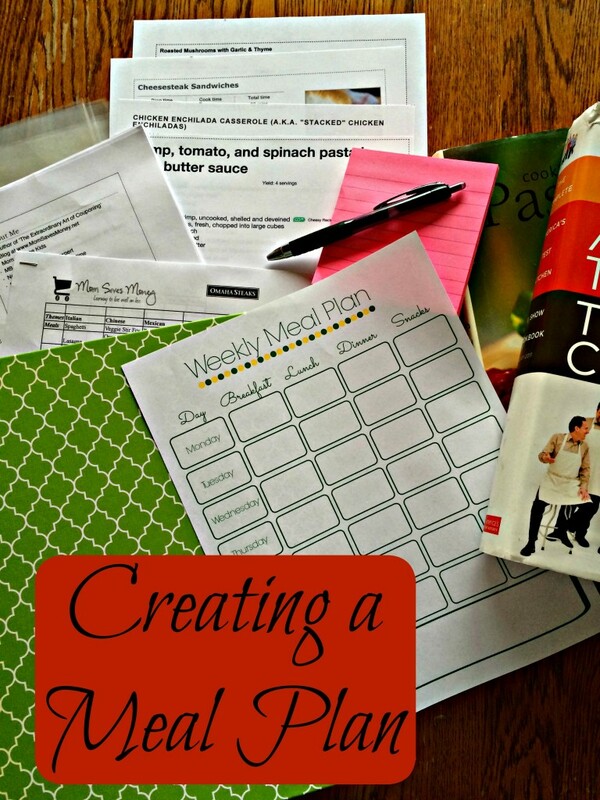 She gave some amazing tips on creating a meal planning binder. I quickly realized when she said the average family rotates between the same meals every 7 to 10 days…I have a lot more recipes that I rotate through. We have some major variety preferences, and I love to try new recipes, so I’m going to create my binder a little differently. I’ll have to experiment and find my own methods of meal planning that will make the organization of the binder easier. Eventually I’ll get to the point where my meal plan is more concrete, for now I’ll work on creating a new meal plan each week and doing my best to stick to it. I’ll take the lessons I learned each time and implement them into the next week. Even though this week was a bit rocky with the meal plan, I’m positive the longer I stick with this the better I’ll get and the more money I’ll save. My husband will also be happy with this because I find myself digging around in the freezer to see what food items we already have and what we can do with them. Do you create a meal plan? What benefits have you found for following one? Tell me in the comments. 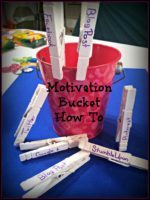 I need the inspiration! Plank Seafood Provisions: The best oysters I’ve ever had! My meal plan is for 2 weeks at a time. All days are flexible. When we cook the meal draw a line through it. If we do something different I jot it in and draw a line through it. When it’s time to create the next 2 weeks of meals I can begin by Looking at what we didn’t prepare. Lately that’s sort of how we’ve been doing things, however we just do it one week at a time. What’s your favorite go to meal? Might be something we could add to our menu plan!